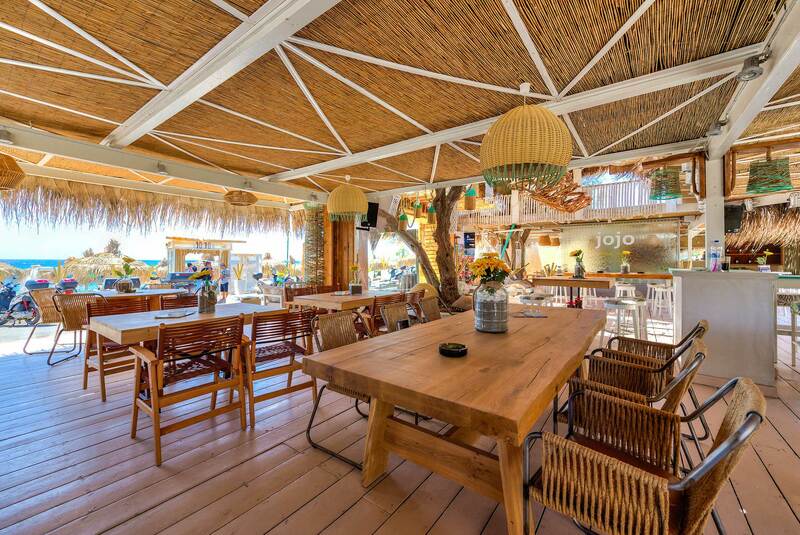 The magical feeling of delight by the sea, Exotic flavor, absolute relaxation setting in the lounge bar- restaurant jojo. 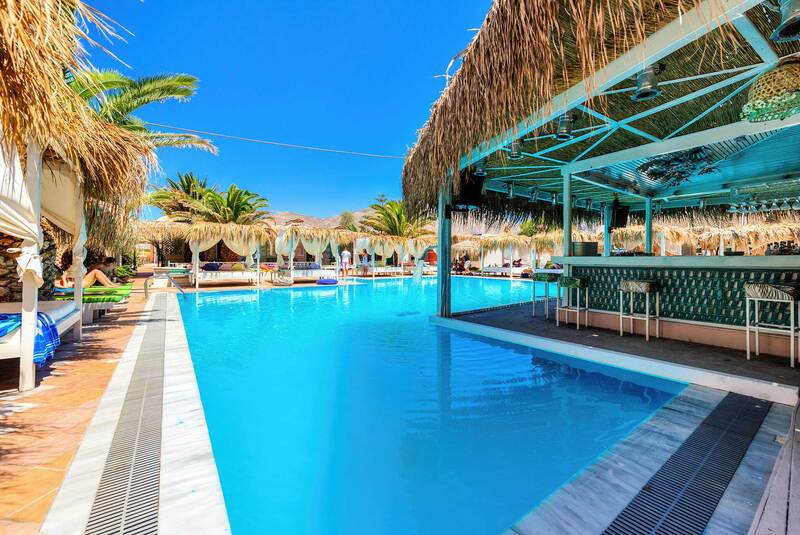 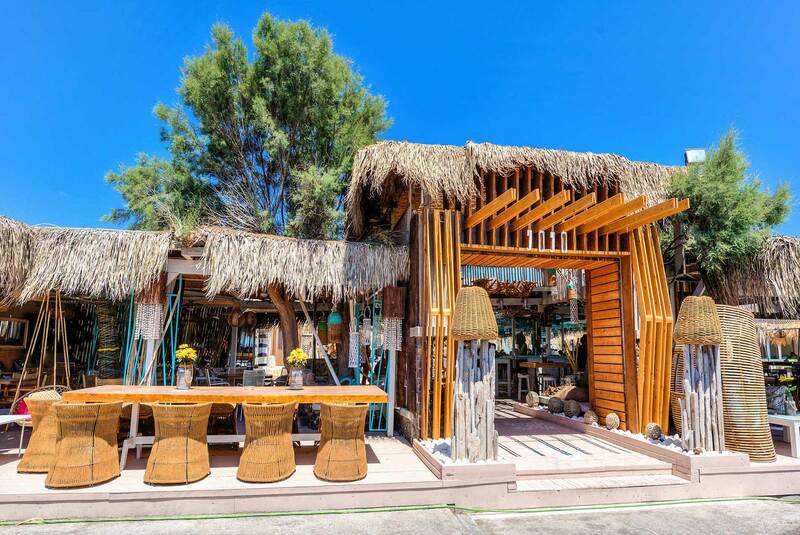 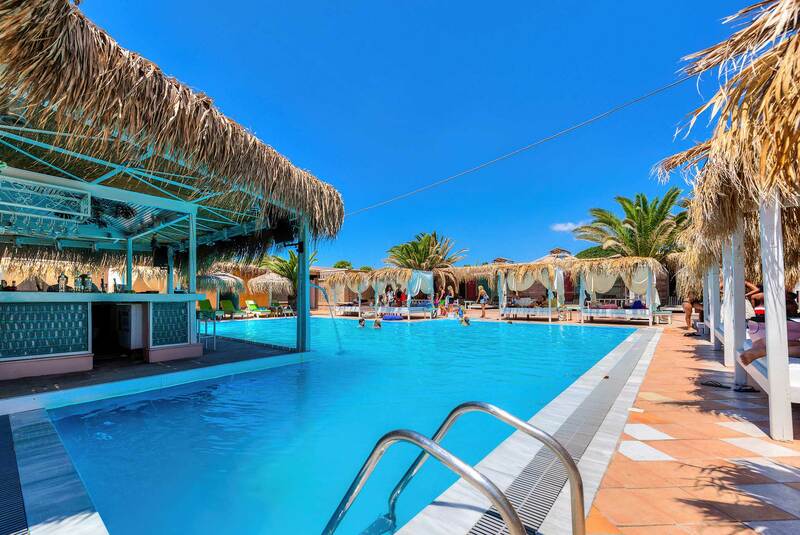 A youthful, modern and at the same time comfortable place, with the friendly smiling faces of our partners, who are happy to welcome you on the unique black sandy beach of Perivolos. 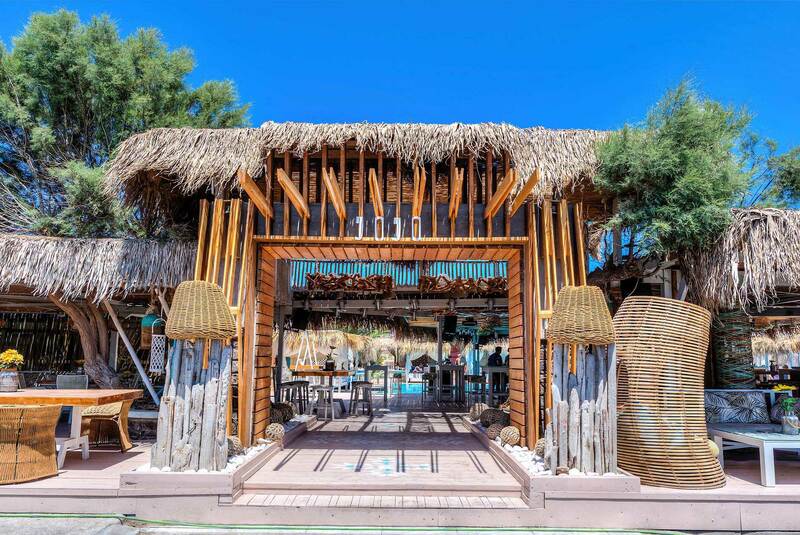 Designed with every architectural detail, made with enthusiasm, it perfectly combines natural materials such as wood, stone, metal all tied harmoniously in earthy tones across the deep blue … Swimming pool inside the bar and bar inside the pool for unique partying, its guests being well-known artists. 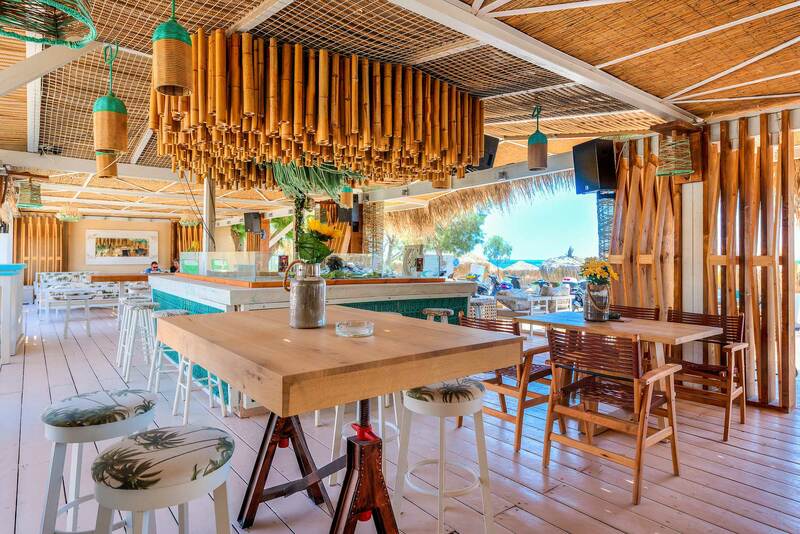 Cool drinks, exotic coctails, and titillating champagne bubbles, are simply there for you to enjoy or taste the creations of our chef, ranging from a simple sandwich to delicious dishes trimmed with finest quality materials. 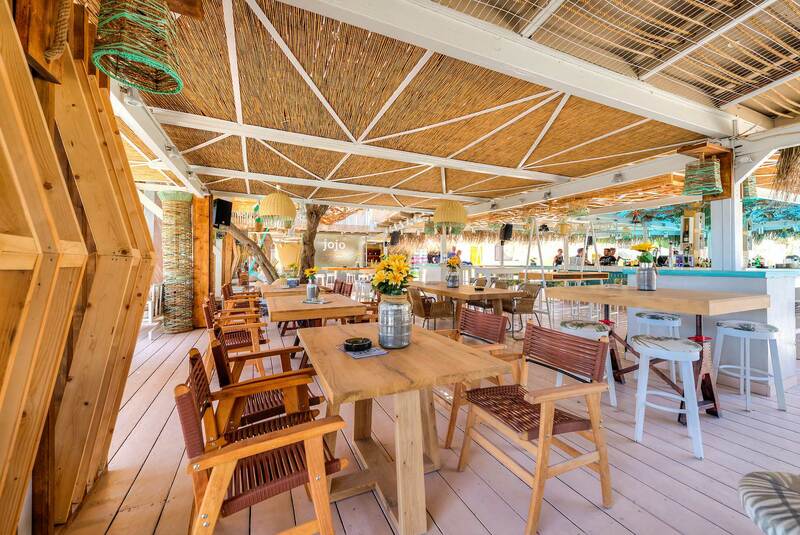 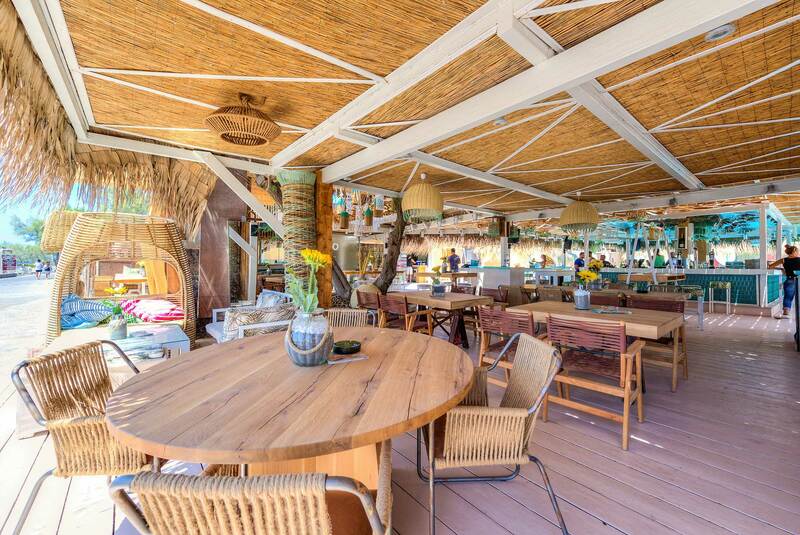 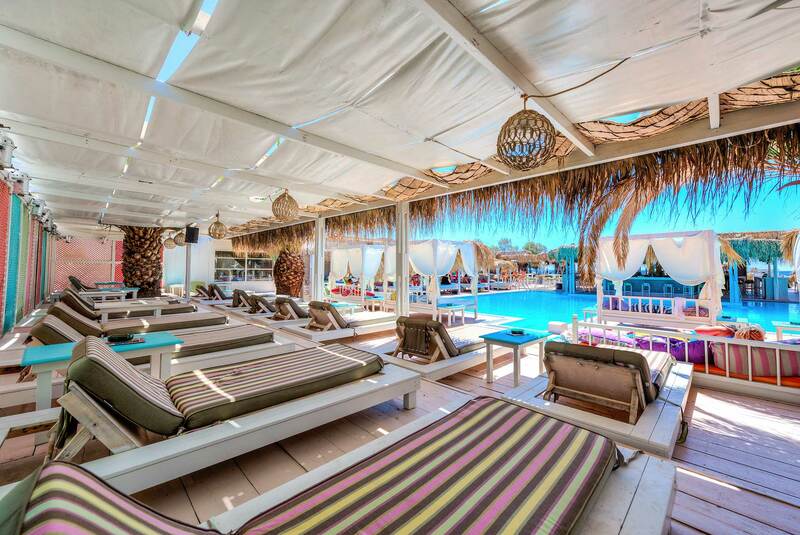 You will be ravished by the beauty of the beach bar jojo. 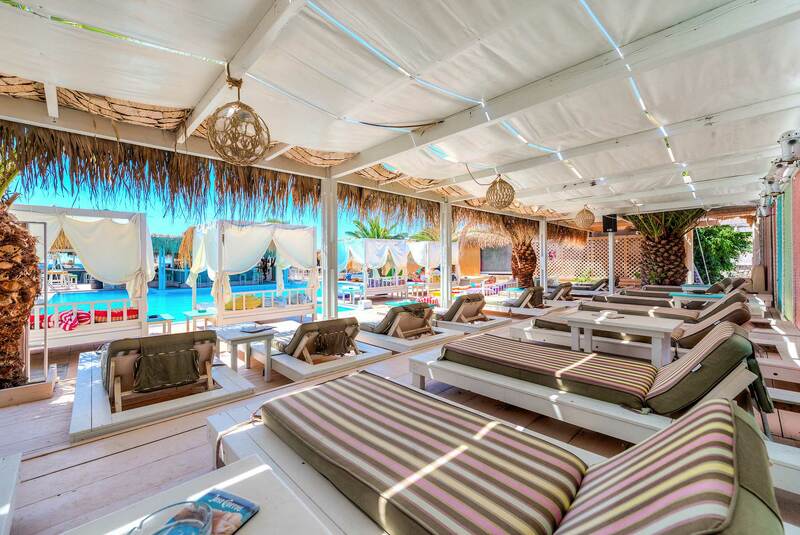 The ideal choice for perfect vacations.